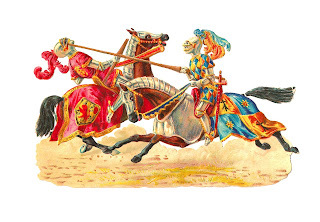 This is a spectacular jousting illustration from a Victorian die cut. I love the colors! It's a little worse for wear, but it's still in great condition. Besides, I love the distressed look. I hope you enjoy!